Coronation of the new king and sovereign was a very important event for the common people and the entire kingdom because people always connected their great expectations for better future life with the new sovereign. Therefore it was very important for the future king to introduce himself and show the power of his majesty and the coronation route was a suitable place for demonstration of the power and splendour of the might. 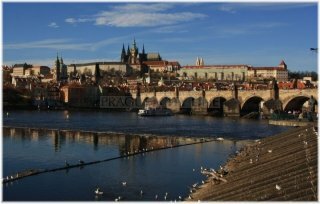 The entire coronation route continued the old tradition from the time of the legendary Přemysl the Ploughman who had been according to the legends the first sovereign of Bohemia and his first route had led from Stadice village towards Prague Castle. 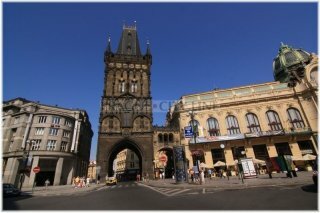 So the most of the Bohemian kings initiated their coronation route in the Royal Courtyard and finished it in St. Vitus Cathedral. The route was connecting two important royal residences because the route led from the Royal Court to the Prague Castle. You will not be able to find the Royal Courtyard in Prague these days any more. It used to stand in Náměstí republiky, in the place of the current Municipal House. 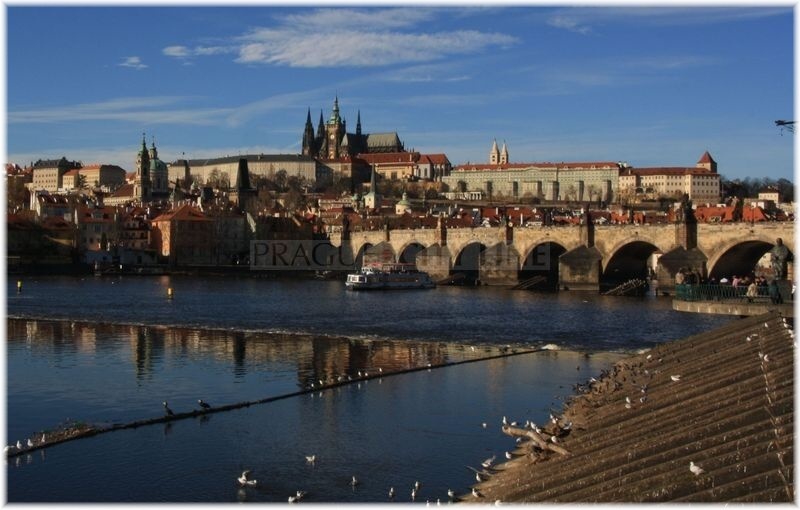 Let´s follow the traces of our monarchs and discover the beauties of the old Prague. We will start the route in the Roayl Courtyard just like the rich processions in the past. The ceremonious procession was ready in this royal residence and it made for the coronation. Not only the royal servants were participated in the preparations of the procession and the ceremony, even the humble folks played an important role. The citizens richly decorated their houses and palaces along which the procession with the new sovereign was passing. Ribbons were hanging from the windows and they were cheering loudly accompanying the procession. The procession further continued along Celetná street, from where it made for Karlova street through the Old Town Square and the Malé Square. 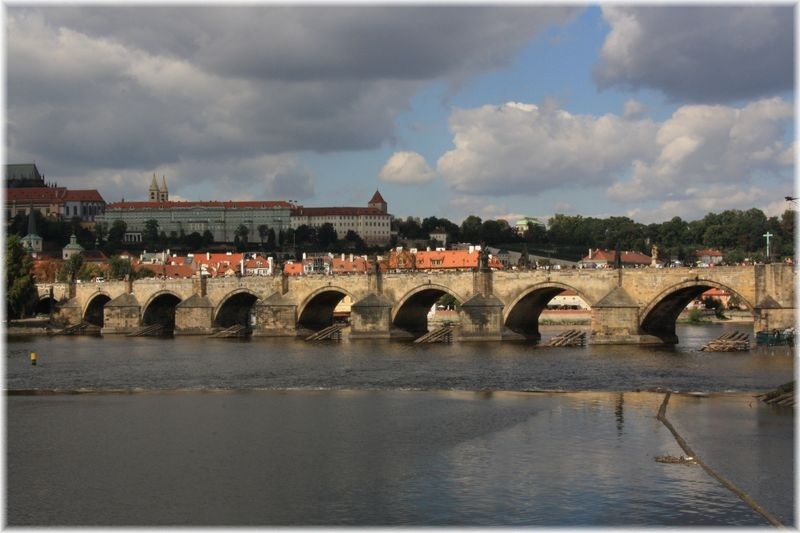 Then it continued towards Křižovnické Square and it festively crossed the river Vltava over the Charles Bridge. From the bridge it went through Mostecká street towards the Lesser Town Square. Then the procession started to mount up Nerudova street towards Prague Castle, from there along the street Úvoz as far as Prague Pohořelec. They were only a few hundreds meters from the Castle now and needed to pass through Loretánské Square to reach Hradčanské Square. The finish of the route led through the Castle premises and ended in the scene of the festive ceremony which was St. Vitus Cathedral, of course. The procession was acccompanied by merry jubilation of the watchers, music and general cheer. The first procession which had passed through the centre of Prague was the procession with the first Bohemian king Vratislav in 1086. The last coronation took place in 1836. During the long time twenty-six Bohemian kings and twenty-eight queens had been crowned in St. Vitus Cathedral. All the mentioned kings and queens had been ceremoniously anointed by holy oil during the ceremony.